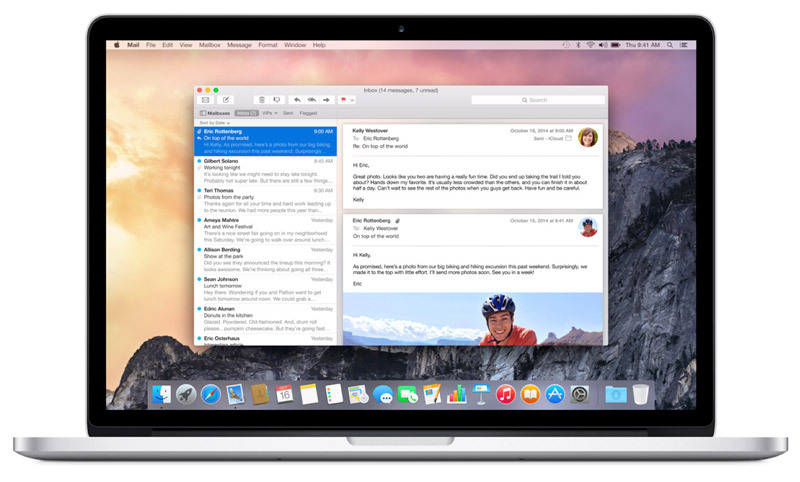 The operating system OS X Yosemite «the best mail client for Mac» even better. One of the innovations is the function of the application Mail Drop, allows you to attach the letters large attachments without having to worry about whether it will pass the postal service. With the release of OS X 10.10 email attachment size is almost irrelevant. Just go to your account iCloud - and can be sent via Mail Drop files to a large volume, such as videos, presentations, or a folder with images. It is enough to win the attachment of up to 5 GB e-mail - Mail Drop and do the rest. If your recipient is using Mail on OS X Yosemite, he will receive an investment in the usual form. And if he uses another application or web-based, it will be able to download the attachment link in the email. By default, Mail Drop, supports all email services, including Gmail, Yahoo, and Microsoft Exchange, is activated when sending the file over 20 MB. However, in reality, not all services supported by the Internet, even more data. In some cases, it makes sense to lower the threshold, and here comes to the aid of a special team of the Terminal. 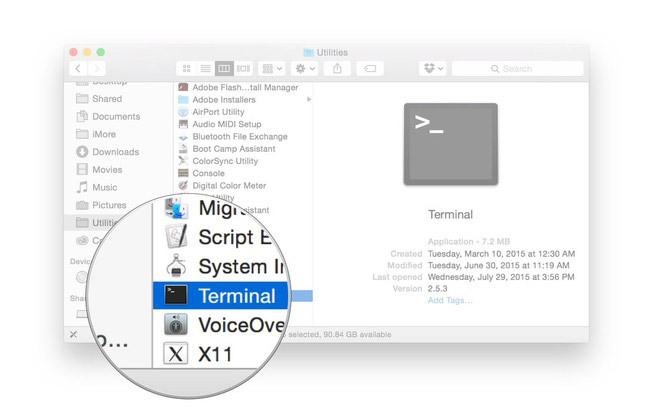 Step 1: To reduce the minimum file size for Mail Drop, you must run Terminal from the Utilities folder. 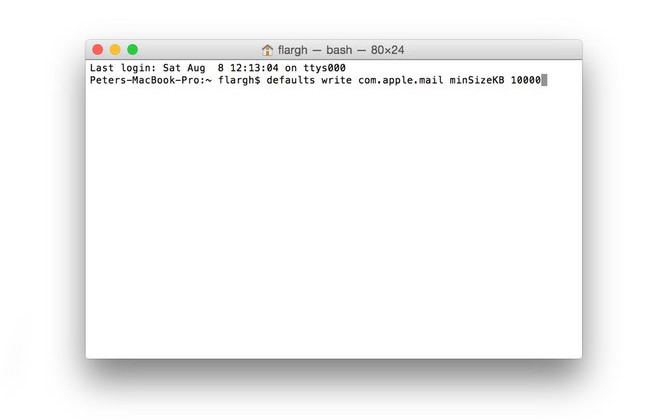 Step 2: Copy the following code window defaults write com.apple.mail minSizeKB 10000, where 10000 - lower threshold, in kilobytes. Now you can stop worrying about the limitations of mailbox: now all e-mail attachments larger than 10 MB will be sent using the Mail Drop. You can change the lower threshold Mail Drop, changing parameter 10000 in the team at its own discretion.